Strong scholarship support is core to UNI Athletics. As the cost of competing in intercollegiate athletics rises, we need people who can help us meet this challenge head on as a Panther Champion. Becoming a Panther Champion not only creates a legacy for you and your family, it creates opportunities for current and future UNI student-athletes. Establishing a named scholarship fund with the criteria you desire, provides UNI student-athletes a chance to excel in the classroom while developing essential life skills in competition. Consider establishing a Panther Champions Scholarship Fund today! There are two options to consider when establishing a Panther Champions Scholarship Fund. Annually Funded are gifts made on an annual basis, helping UNI Athletics provide immediate scholarship support. Endowments generate earnings, and the principal is invested for the long-term, sustaining UNI Athletics through the most uncertain times. Gifts made on an annual basis, helping UNI Athletics provide immediate scholarship support. You determine the criteria for the scholarships when the fund is established (sports specific, major specific, GPA requirement, etc.). The minimum to start a named scholarship fund is $3,000 annually. Donors are encouraged to consider a five-year commitment to support the scholarship. Your gift each year to the fund also qualifies for Panther Scholarship Club benefits and UNI Athletics priority points. You're invited to our annual scholarship luncheon to meet your scholarship recipient. The luncheon is held in the fall. Your fund is listed online and in our sports program as a Panther Champions Scholarship Fund. A named fund that provides scholarships to student-athletes forever. The minimum to start a named scholarship endowment fund is $30,000 which can be paid over five years. Once the minimum of $30,000 is reached, either right away or in five years, the fund is invested for a minimum of one year before the first scholarship is awarded. 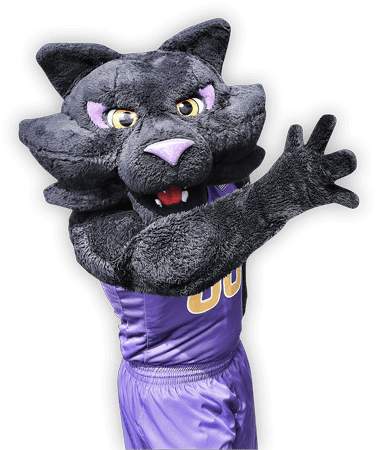 Your gift(s) each year to reach the fund minimum qualify for Panther Scholarship Club benefits and UNI Athletics priority points. Our spending policy is around 4% so a $30,000 endowment would generate roughly a $1,200 annual scholarship. THANK YOU to the following individuals/companies who have generously supported UNI Athletics through the establishment of a Panther Champions Scholarship Fund. Interested in becoming a Panther Champion? Complete the form or contact Jamar Thompson, Director of Development for Athletics, at 319-273-7817.